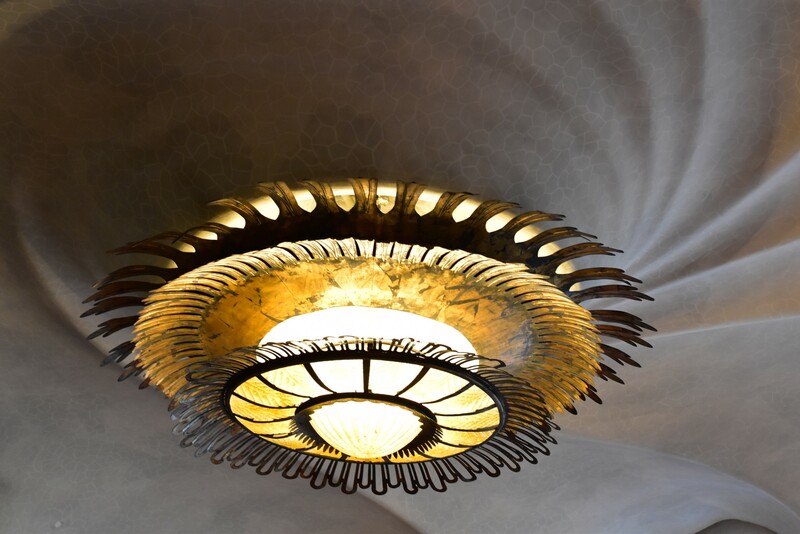 The day begins with more architecture; Casa Batllo is another of Gaudi’s works that radiates with a uniqueness that is hard to quantify. Wood fashioned as if it were liquid, the playful and intelligent use of tiles to reflect light in the light well at different intensifies for the floors, wrought iron railings, a roof feature that makes running water dance across the walls. 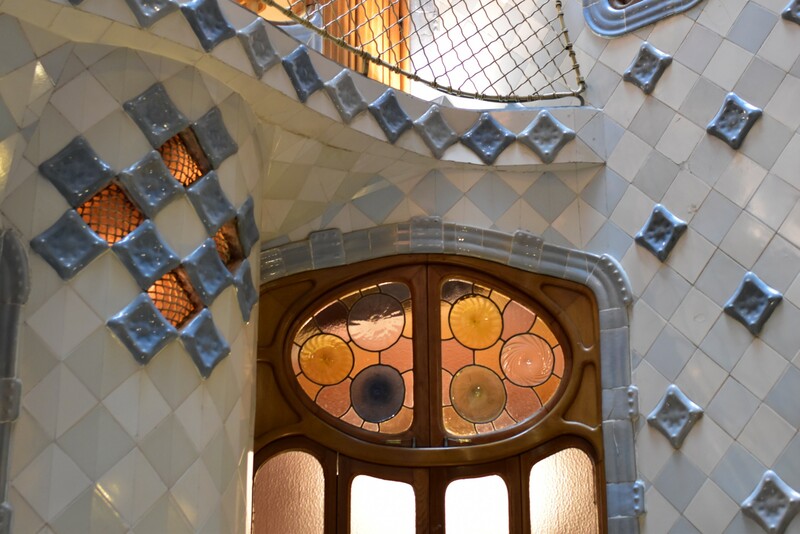 So many details of this house are marvellous to behold, testament to the genius of Gaudi’s vision of what a home should look like, even if his ideas, in a way, are one of a kind and have never been really replicated until then. A walk later to the Gothic quarter leads me to a small quadrangle and some quiet time in the Arxiu historic de la ciudad. Here, the noise of the city seems to drown out to a whisper, and it’s a pleasant solace watching from a balcony as people pass by underneath. A bicycle ride around Barcelona is on the cards though as I start to pedal out the skies grey over very fast and soon rain is pouring down over the city and me. Despite the saturation, I manage to cycle for a number of miles and not fall over. The night descends and I am beyond excited to be seeing a Champions League match in the fabled Camp Nou, with Barcelona playing Manchester City. 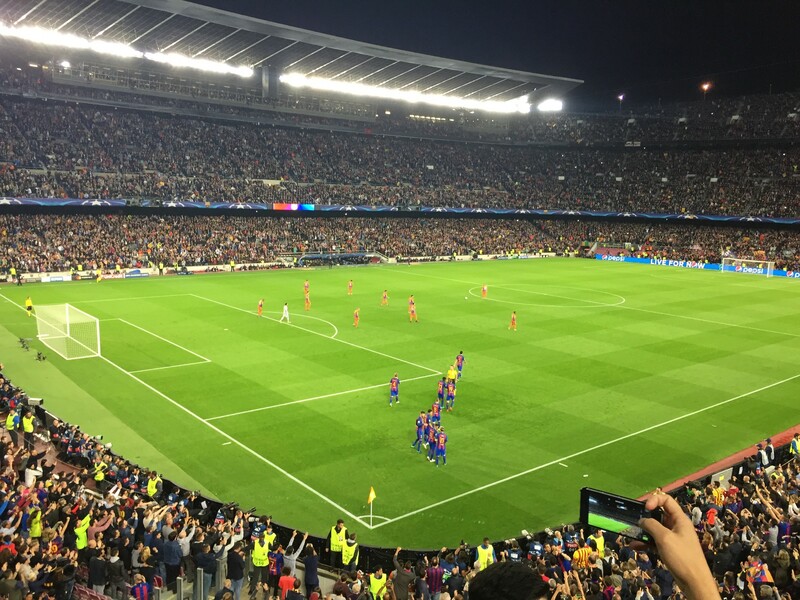 It is an epic atmosphere, and it feels almost supernatural to see Lionel Messi score a hat-trick, and for Barcelona to win 4–0 at their home ground. He really is a spectacle to behold and the experience of sitting at Camp Not with 90,000 other people, predominantly Spanish fans, is electrifying.